A precision-tooled campaign that achieved results far beyond industry averages by putting the brand’s core message centre stage. Everyone knows and trusts German manufacturing. And because it’s so consistently good, it must be born of a national state of mind, a love of perfection, an obsession with making things the best that they can be. We saw this as a strong selling point for a German manufacturing brand such as LEMFÖRDER, so we built on it, with a touch of humour, to make a memorable campaign that shows why the brand’s obsession with perfection is a huge benefit to the automotive world. Combining gentle humour with a premium, market-leading look and feel and an unexpected visual, our campaign engages target audiences by creating disruption in the marketplace. It also differentiates LEMFÖRDER within the overall portfolio of ZF Aftermarket, a world-leading supplier in the automotive and industrial aftermarket and a EUR3 billion powerhouse with a total of 120 locations in 40 countries worldwide. 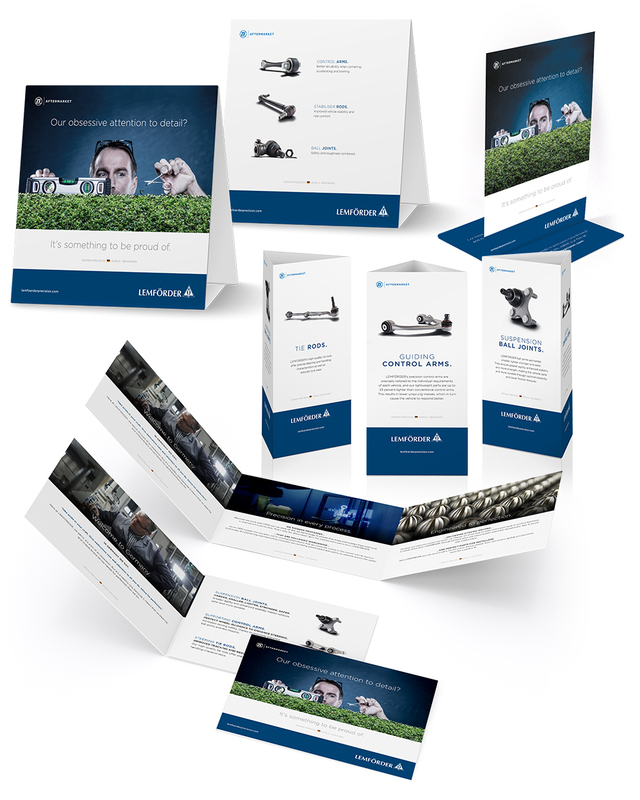 The campaign demonstrates how the unique processes defined by LEMFÖRDER in Germany, and its three core values – Precision, Pioneering, OE Heritage – create the high quality products that have made the brand No.1 for OE steering and suspension parts, and relied on by more than 50 automotive manufacturers. To achieve maximum impact the campaign has been rolled out across Europe and adapted for Asia Pacific across several media channels, including press ads, garage POS kits, film, landing pages, email and website. In the first two months since campaign launch, our LEMFÖRDER campaign film has been viewed more than 5 million times on YouTube. And that’s on top of 90,146 clicks to website, over 64 million impressions and an email open rate of 40% – well above the industry average.